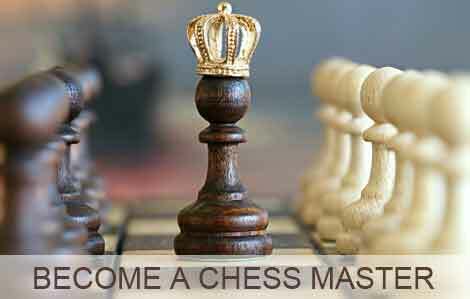 Become a Chess Master. How to Become a Grandmaster. Can I become a Chess Master... or a Grandmaster? * The following are international (FIDE) ratings and may not align exactly with rating systems used by countries that use other rating systems, such as the United States. The more your rating increases, the harder it is to gain new points or get to higher categories. It is a pyramid where the base is much larger than the top. With a 2700 rating, Andrei Istratescu, the head teacher of International Chess School, is one of the top grandmasters in the world. 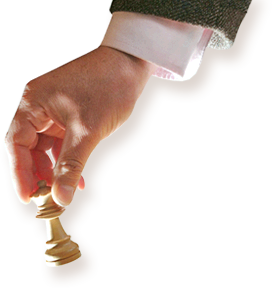 Almost every young chess player at one time wants to become a grandmaster or get from 1000 to 2500 rating as quickly as possible. Some people ask us what to do to become a grandmaster in a year. Others, more ambitious, want to become grandmasters in a few weeks. It is understandable that people want to get on the top of pyramid as quickly as possible. However, "Rome wasn't built in a day". In any competitive domain, be it medicine or physics, be it athletics or tennis, it takes at least 10 years to become an "expert". Fortunately, chess is also a competitive domain with more and more people attracted by its beauty every year. Even the chess prodigies of today become grandmasters after years and years of intensive study and after participating in strong competitions. Most of us have many other duties, thoughts, and concerns. Many of us do not have the time to study chess hours every day. Many of us do not have time to participate 1/4 of the year in competitions. Ok, so how good can you become at chess? 1) How much do you study? Two hours per week are usually enough for a busy person to make sensible progress in chess if he follows a structured program of study and training. Dedicating 6 hours per week is a great time budget for study by someone striving to achieve great results relatively quickly. 2) How much do you play? There is a common misbelief that 5-7 tournaments per year are necessary to have any chance to become an International master. This is far from true and the proof is that there are old grand masters who were happy to play one tournament per year. More important is to be prepared for the tournaments you do play in and to go there with all your forces charged at maximum. It is again wrong to believe that chess cannot be learned at older ages. A young person does indeed have a better memory but an older person has better logic and a more organized thinking. Finally, you can become as good as you are serious. Someone who wants to become a grandmaster must dedicate many hours every day for study and constantly participate in strong tournaments. During the night they usually dream chess positions and opening variants. They must have a fantastic memory and nerves of steel. They also need a partner for study and training of at least the same level. The hobby becomes a passion and the training becomes a way of living. The path to improvement is more fun than the result. Chess is a great hobby, no matter your rank as you always compete against people of the about the same level as you. Your hobby is highly intellectual; it keeps your mind active and healthy. And as it is so complex, every step you make forward to understand it better, to discover its secrets, will bring you more joy and reveal more of the game’s beauty. Article last updated on May 12, 2018 by the ICS webmaster.